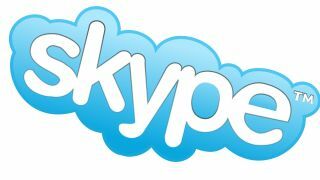 Microsoft has announced that it will be integrating its newly acquired Skype VoIP service with Office 2013. The company finalised the purchase of Skype last October, paying $8.5 billion for the service that draws around 65 million customers. At that time it was too early to tell exactly how the Redmond software giant would use its new acquisition. Finally, details are beginning to emerge and Microsoft is putting Skype behind the "presence" feature in Outlook, making it a standard feature of all Office 2013 versions. Office already uses the Lync communications platform, with which Microsoft says that Skype users will be able to integrate their contacts. In a demonstration of Office 2013, Lync was being used to power a video conference call which suggests that the inclusion of Skype will be to subtly add features rather than replace existing functionality. Users of the new Office 365 subscription version of Office will also get 60 minutes of Skype credit each month that should see them chatting free to landlines across the world.